Amazing place. I loved it from the first second I stepped in. Staff is great. There is bar. You can swim around. Room was amazing. I will definitely recommend this place! This place was far away of regular hotel experience. 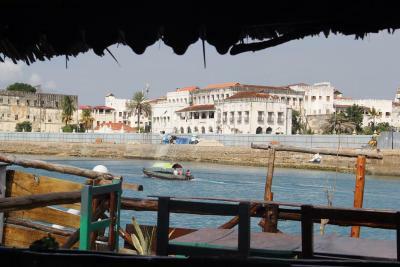 It's a floating paradise close to Stone town's centre. 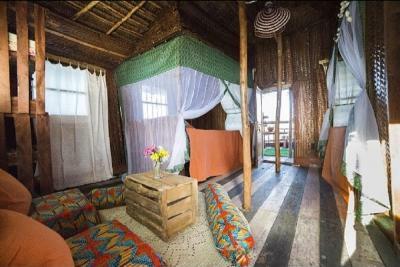 There are only two rooms so we basically have all the Dreamers island for us and spend nice two nights and days just chilling, drinking beers and swimming. They have really delicious breakfast and also catch of the day we had for dinner was very delicious. So don't be afraid to eat there. Plus the staff is very friendly and helped us with the parking situation and other things. 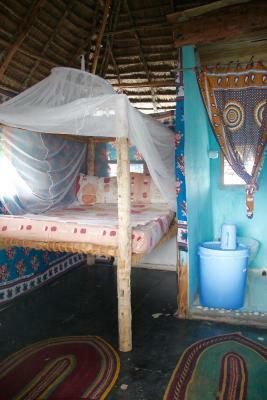 The rooms are simple but they DO have mosquito nets and there is a simple shower and toilet. But you don't need anything else. 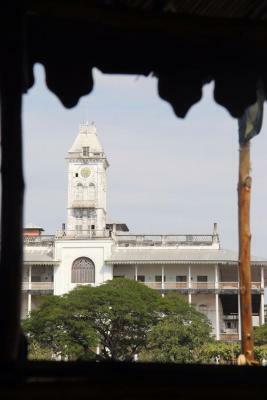 Oh and it's the best spot for watching sunrise and sunset in Stone town! We had the best time at Dreamer‘s Island! It is like a little piece of heaven on earth, a lovely and unique place. We loved the atmosphere, very chilly mood. Especially the staff was awesome, everybody was so friendly and welcoming. 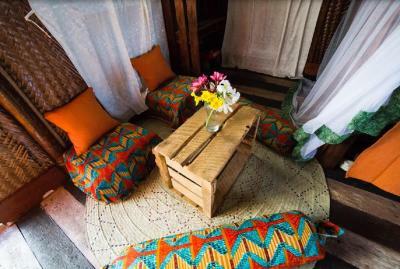 We would definitely recommend the place and we look forward to see you guys again! We stayed on the private bungalow-boat, wich has a great view over the water. It is very remote. Breakfast was great (fresh juice, fruits, samosas, eggs etc). 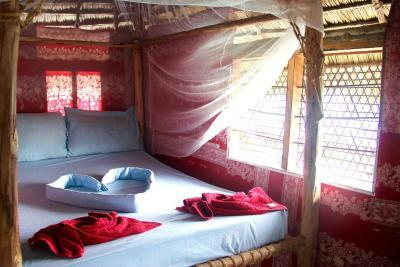 Location is superb (in Stone Town, yet, away from the town´s crowds). Amazing blue water around, jump in any time you desire. They give you a mobile phone, so whenever you want to go to the town, to the other raft (where the restaurant is), or vice versa, you just give a call and they will immediately pick you up on a boat. Very friendly and cheerful staff. 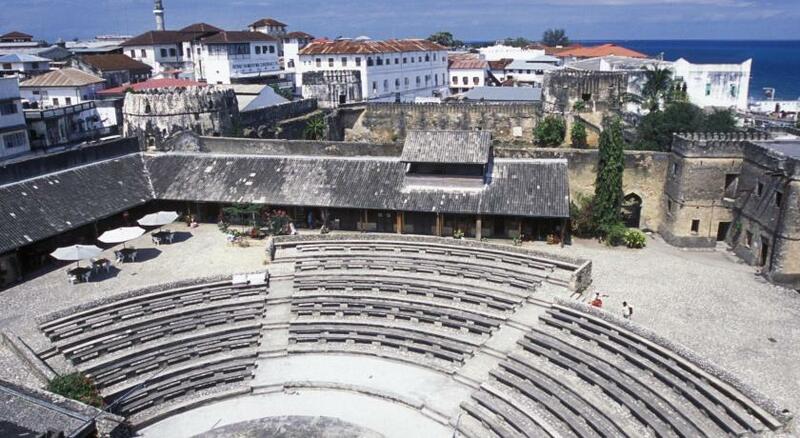 THE BEST LOCATION IN STONETOWN! being in a boat is wonderful, fishes swimming under neath you. 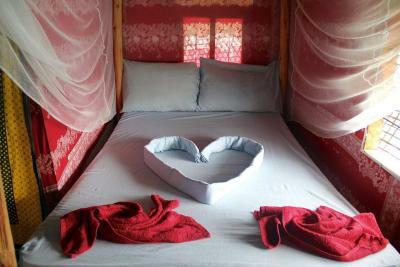 you can jump in and snorlel with beautiful fish, at night you can sleep on the patio under the stars. 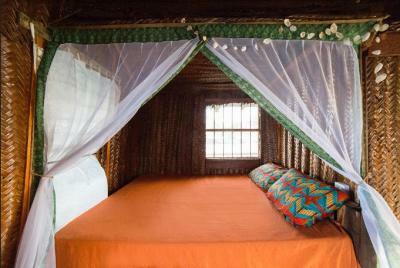 The bed's in the Bungalow are super comfortable, the best ones I slept in in Zanzibar. Of course the room rocks and sways with the ocean's movements but it's wonderful! You are given a mobile phone so you can call the hotel everytime you need to go and come back from the "island" and in a minute they pick you up and in a minute you are in town or back in the hotel. This place is an absolute must. Dreamer's Island This rating is a reflection of how the property compares to the industry standard when it comes to price, facilities and services available. It's based on a self-evaluation by the property. Use this rating to help choose your stay! 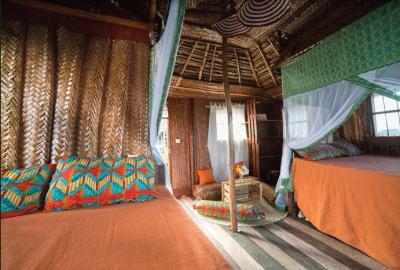 Located 1.3 miles from Peace Memorial Museum, Dreamer's Island has accommodations and free WiFi in Zanzibar City. The daily breakfast offers continental and vegetarian options. 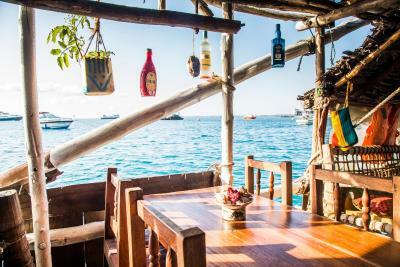 At the boat you'll find a restaurant serving Seafood and African cuisine. 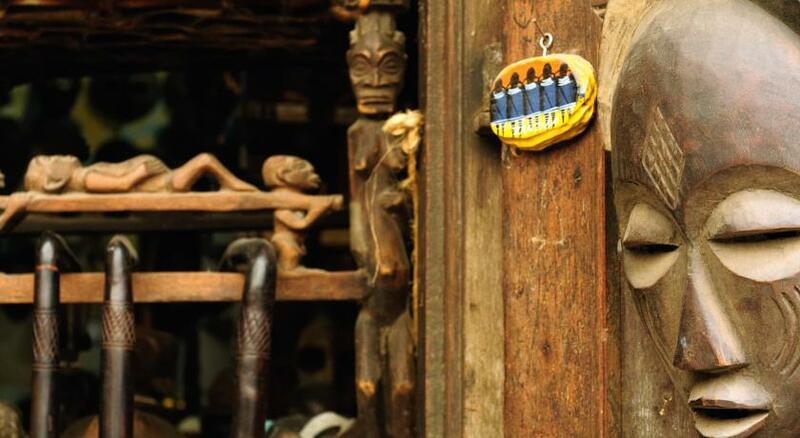 The Zanzibar Curio shop is 2.1 miles from Dreamer's Island. 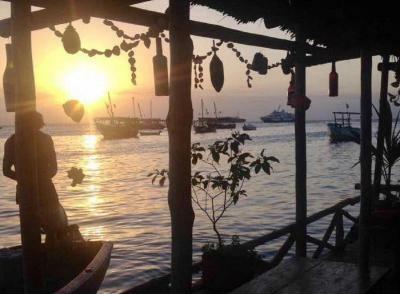 뀐 Located in the top-rated area in Zanzibar City, this property has an excellent location score of 9.0! When would you like to stay at Dreamer's Island? Public parking is available at a location nearby (reservation is not needed) and costs USD 0.50 per day. 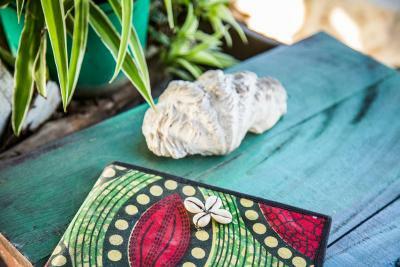 House Rules Dreamer's Island takes special requests – add in the next step! Dreamer&#39;s Island accepts these cards and reserves the right to temporarily hold an amount prior to arrival. Dreamer's Island accepts these cards and reserves the right to temporarily hold an amount prior to arrival. Please inform Dreamer's Island of your expected arrival time in advance. You can use the Special Requests box when booking, or contact the property directly using the contact details in your confirmation. Nothing to complain - just a great place to be. This is boat, that is why you should consider very limited shower water, electricity light and etc. There was no wifi during our whole stay, there was no water to shower or flush the toilet either. There was no power to charge phones wich you need to contact the staff to get picked up at the beach and brought back to the boat. There was no change, even though we told the staff multiple times. The price was absolutely not worth they stay. We had to go back! 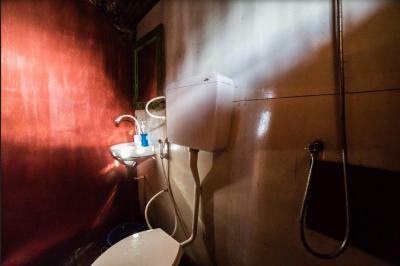 At some times we didn´t have water to shower, also in the toilet. the shower is very very weak. but if you know in advance its ok....or if they fix it even better! The random and quirky nature of the hotel - beats the Hilton! Great breakfast, unique location but there was a very, very loud disco/music bar playing till the dead of night, we didn't have a proper shower and at one point there was only coming a little bit of water out of the shower. The toilet and sink didn't work. But overall it was a unique stay! It could be a little difficult for some as you need to take luggage out to the accommodation on a small boat. The place constantly rocks. But that’s not a bad thing. It will rock you to sleep. Staying on the water is really one of a kind experience.